As the 18th century dawned on the North American continent, four powers, the French, the Spanish, the British and the Native Americans were competing to see who would control this remarkable land. However after half a century of almost continuous wars, a new entity emerged: The Americans. It would be the Americans not the other four powers who would control what would become the United States. In the process, the Americans created, by the end of the 18th century, the greatest experiment in self-government the world has ever seen. American History, 18th Century American History, United States History, and 18th Century United States History begin in this first 18th Century Turning Points Program. 00:03:57Royal Colonies were an important part of founding America, including Plymouth Rock and Massachusetts Bay Colony established by the Puritans. 00:03:20From the early French colonies, French trappers made their way through the Straits of Mackinac into the present day U.S.
00:02:29Yale established the educational structure that would be an integral part of founding America and the American colonies. 00:02:37Spanish colonies, especially St. Augustine, would be a strategic point in Queen Anne's War. 5.) 1702 - Cotton Mather publishes "The Ecclesiastical History of New England"
00:02:43Cotton Mather's history of the, Massachusetts Bay Colony and Puritans would be important to understanding the founding of America. 00:02:45The Quakers and William Penn established Pennsylvania colony an important part of founding America. 00:02:56The Treaty of Utrecht ended Queen Anne's War but would set the stage for the War of Jenkins Ear 30 years later. 00:03:34The schooner, designed by Captain Andrew Robinson, showed that American entrepreneurs were an important pat of a successful colonization of North America. American History, 18th Century American History, United States History, and 18th Century United States History begin in this second 18th Century Turning Points Program. 00:03:38French colonies and especially, New Orleans, founded by Robert LaSalle, would establish the vitally important French Louisiana colony. 00:02:49Founding America was based in part on the avant garde system of American Education. 00:03:02Founding America, was based in part on the creation of cities such as Baltimore and later forts such as Fort McHenry on Chesapeake Bay. 00:02:21American transportation would lead the way to the founding of America, especially the stagecoach. 00:02:43James Oglethorpe founded the Georgia colony, which with Carolina colonies, would go onto establish the South centered around the deep south colony of Georgia. 00:03:10American Colonies suffered disease outbreaks such as influenza and smallpox, for which Cotton Mather led the way in finding an inoculation. 00:02:55The causes of the American Revolution would lay in British Parliament unfair legislation such as the Molasses Act. 00:04:01One of the causes of the American Revolution was the colonists cry for a Free Press, first established by Peter Zenger, and which later would become a cherished American liberty as well as one of the civil rights of the U.S. Constitution. American History, 18th Century American History, United States History, and 18th Century United States History begin in this third 18th Century Turning Points Program. 00:03:40George Whitefield, founder of the Colonial Great Awakening, would establish throughout the colonies the desire for Freedom of Religion, a part of the U.S. constitution. 00:03:15Slavery in the 18th century would lead to slave revolts. 00:03:24The War of Jenkins Ear would bring colonial militias into the European Wars and eventually lead to the Founding of America and the United States. 00:03:03French traders, Paul Mallet and Pierre Mallet, as well as Vitus Bering would expand the frontiers of Colonial America. 00:03:00The Ohio Land Company, based within the Ohio River Basin, helped trigger the French and Indian war, and led to the expansion of colonies in the founding of America. 00:03:10The Pueblo Indian revolt led directly to the creation of the American Indian horse culture in the 18th century. 00:04:17Britain's Iron act would help start the, American Revolution because of its harsh effect on colonial iron manufactures in Pennsylvania's Schuylkill Valley. 00:03:03American enterprise is seen in the Conestoga wagon and the flatboat. 00:02:22The Albany plan of Union, introduce by Benjamin Franklin, would help lead to the American Revolution. 00:05:25The French and Indian War produced American war leaders such as George Washington, and in founding America, led to the American Revolution. 00:01:58James Otis fought against illegal searches, a pivotal issue in the American Revolution, and later part of Civil Rights in the U.S. Constitution. 00:04:09Chief Pontiac, an America Indian leader, led Native Americans in a war of independence in the old Northwest and Kentucky against British forces and American colonists. 00:03:15Samuel Adams, John Hancock and the Sons of Liberty fomented rebellion through acts like the Boston Tea Party, eventually leading to the American Revolution. 8.) 1766 - John Singleton Copley Paints "Boys with the Squirrel"
00:01:31The American artist, such as John Singleton Copley and Charles W. Peale, captured American life. American History, 18th Century American History, United States History, and 18th Century United States History begin in this fifth 18th Century Turning Points Program. 00:02:22Daniel Boone helped founding America by leading pioneers through the Cumberland Gap, along the Wilderness Road to Kentucky. 00:02:19The Indiana Company, sought land from Indians in the Old Northwest Territory, circumventing Britain's Proclamation line along the Appalachian Mountains. 00:01:36Father Juniper Serra, founded San Diego and helped foster along the El Camino Real, Spanish colonies and the California mission system. 00:02:42The Boston Massacre and the Liberty pole riot jump started the American Revolution and helped produce heroes like Paul Revere in the Revolutionary War. 00:02:54Boston Tea Party, a result of the Townshend Revenue Act, led to the American Revolution, the Revolutionary War. 00:02:04The Continental Congress paved the way for the American Revolution by resisting the Intolerable Acts, and led by men such as Patrick Henry, Sam Adams, John Adams, and George Washington created a new nation, the United States. 00:02:27Concord and Lexington started the Revolutionary War, after Paul Revere's ride, a heroic act of the American Revolution. 00:02:41George Washington was appointed leader of the Continental Army, while the Battle of Bunker Hill became the first full scale military battle of the Revolutionary War at the beginning of the American Revolution. 9.) 1776 - Thomas Paine Publishes "Common Sense"
00:02:45Thomas Paine wrote Common Sense outlining the importance of the American Revolution. 00:03:32The Declaration of Independence, which started the American Revolution and would become the foundation for the U.S. constitution while establishing the country's Independence Day, was written by Thomas Jefferson, as a fundamental doctrine of civil rights and was signed on July 4th. American History, 18th Century American History, United States History, and 18th Century United States History begin in this sixth 18th Century Turning Points Program. 00:03:45Washington crosses the Delaware in 1776 establishing George Washington as a true hero and leader during the Revolutionary War, while the importance of the American Revolution is written about by Thomas Paine. 00:02:03Betsy Ross sews the flag of the American Revolution. 00:03:34The Colonies' Revolutionary War turns around at the Battle of Saratoga, beginning the march to a successful American Revolution built on the backbone of the colonial militia. 00:03:11John Paul Jones fought for the Revolutionary war and helped to make the American Revolution successful by showing the American Navy could fight. 00:03:41From the darkest days of Valley Forge in the second year of the Revolutionary War, the American Revolution and its military leaders like George Washington and Baron Frederick Von Steuben, as well as heroines like Mary Ludwig Hayes - Molly Pitcher - never gave up on the ideal of freedom and as a result, battles like the Battle of Monmouth would be won by the colonies. 00:04:07George Rogers Clark during the American Revolution, the Revolutionary War, led an attack on Kaskaskia at the bidding of Patrick Henry, in order to secure the Old Northwest Territory for the colonies. 00:03:24Yorktown ended the Revolutionary War, but only after military leaders of the American Revolution, under the command of George Washington, defeated the British at Cowpens, and sent British general Lord Cornwallis into retreat to Virginia. 00:01:42The Treaty of Paris ends the American Revolution. American History, 18th Century American History, United States History, and 18th Century United States History begin in this seventh 18th Century Turning Points Program. 1.) 1783 - Noah Webster Issues "Blue-backed Speller"
00:02:21Noah Webster writes his Blue-backed Speller. 00:02:50The Continental Congress enacts the Land Ordinance Acts for the Old Northwest Territory. 00:02:10Shays' Rebellion, led by Daniel Shays, leads to a new U.S. Constitution. 00:04:53The Constitution replaces the, Articles of Confederation, when leaders such as George Washington, Ben Franklin and James Madison, meet to write a new U.S. Constitution, with the support of Thomas Jefferson and the authors of the Federalist Papers. 00:01:58George Washington is the first U.S. President and John Adams is the vice president. 00:03:05The Bill of Rights, written by James Madison, presents Constitutional amendments, guaranteeing among others, Freedom of Press, Freedom of Religion, and Freedom of speech. 00:02:55Alexander Hamilton, protecting American Businesses and American inventors, is killed by Aaron Burr after founding the Bank of the United States. 00:04:12Benjamin Franklin, diplomat, statesman and scientist, is also the author of Poor Richard's Almanac. American History, 18th Century American History, United States History, and 18th Century United States History begin in this eighth 18th Century Turning Points Program. 00:02:09Benjamin Banneker, who helped design Washington D.C., is the first Black American Scientist. 00:02:40The John Jay Treaty and the Pinckney Treaty are negotiated by John Jay and Thomas Pinckney. 00:03:17The election of John Adams as President founded America's Two-party system, as the former Vice President, created dissidents - Republicans, and supporters - Federalists. 00:02:10The U.S.S. Constitution helped set in motion an American Navy and Marine Corps. 00:02:41The Sedition Act, and Alien Acts disrupt American Civil Rights. 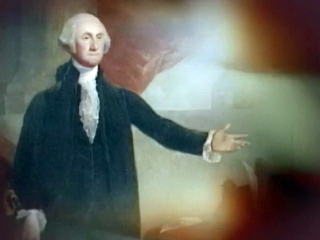 00:03:51George Washington - first in war, first in peace, first in the hearts of his countrymen.